Lotus Cup Europe is the World's premier and longest-running Lotus race championship. It was originally set up by Group Lotus as fun but professionally run motor sport series. Lotus Cup Europe is an FIA International Series, with safety and technical regulations governed by the FIA. In addition to enjoying similar status to prestigious series such as Formula 2 and DTM, it is run as a championship. Lotus Cup Europe enjoys unrivalled support from the Lotus community, with many enthusiasts attending events. The championship is active on social media with well over 60,000 Facebook followers and all rounds are broadcast on TV and on our Facebook page. Competitors are assured of maximum time on track during events, and many of these open with a test day, for which drivers are welcome to enter. Race weekends start with a free practice session, and this is followed by 30 minutes of qualifying. There are two half-hour races, with both standing and rolling starts employed. Lotus Cup Europe receives technical support from Group Lotus, and competitors have full use of a dedicated hospitality unit as a social hub, and this includes catering facilities. Entries are split into three classes: V6 Cup - for the Exige V6 Cup and Evora GT4. 2-Eleven/Open – for the four-cylinder supercharged open-top 2-Eleven, four-cylinder Exige Cup cars, and for most other Lotus cars that are not eligible for the other categories. Production - for Elises, including the Elise Cup R.
Championship points are scored according to class position, with bonus points added for the number of cars starting races in each class – therefore, drivers from all classes have an equal chance of competing for the overall title. Hungarian Bence Balogh won the 2018 title from the V6 Cup class, Belgian John Rasse raced a Production car to the championship in 2015, and Frenchman Jérémy Lourenco claimed the 2014 championship with a 2-Eleven. The Lotus Cup Europe calendar features the continent’s finest circuits, with three of 2019’s rounds supporting the prestigious DTM championship at Assen, Brands Hatch and Nürburgring. The season commences at the Hockenheim Historic and concludes at the 24 Heures Camions event at Le Mans. The championship is open to drivers at all levels of experience, provided that they hold an International D licence or higher. Whilst the series has grown hugely since its inception over a decade ago, the emphasis has firmly remained as a fun and social environment in which to compete. 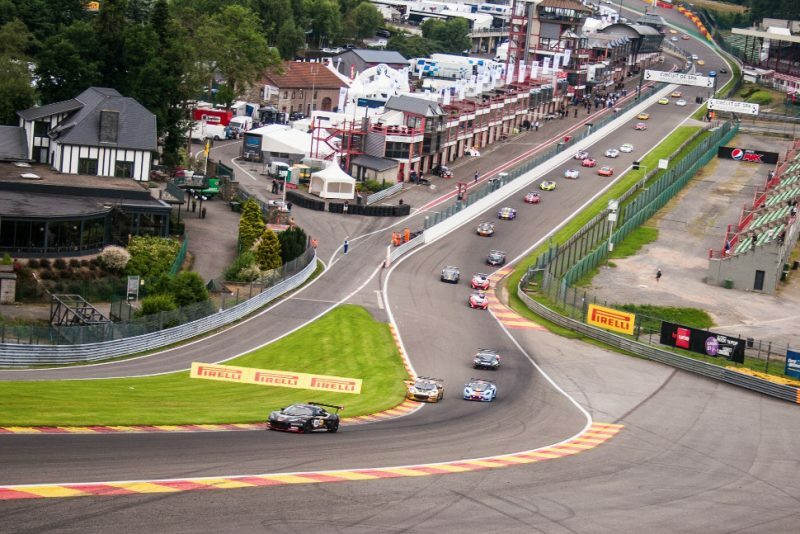 A regular fixture on the Lotus Cup Europe calendar, this year’s Spa date once again coincided with the popular Fun Cup 25 Hour race, as well as the prestigious British GT and BRDC British F3 Championships. 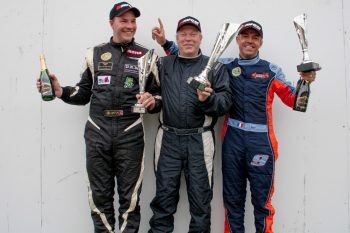 After three meetings and seven races, there have been four different winners, with Jon Packer taking four victories at Hockenheim and Silverstone, whilst Anthony Fournier, Christophe Lisandre and Xavier Georges shared the spoils at Paul Ricard. Meanwhile Tamas Vizin continues to dominate the title race with a clean sweep of wins. With Thursday testing and three Friday practice sessions, the drivers were more than ready for Friday afternoon qualifying, but they also had a drying track to contend with after a brief shower in the previous session. Whether or not this played into the hands of the experienced Steve Williams, he would top the order, his first pole position for some time. Having missed the opening session, his Evora closed in on the previously-dominant Georges, and turned a one second deficit into a similar advantage. Nevertheless, Georges V6 Exige remains a consistent force, and poised to take advantage at the rolling start. Tommie Eliasson was next in his Exige, followed by four-time winner Jon Packer, who’d survived an earlier off in the day. In fifth place, Jean-Baptiste Loup led the 2-Elevens, by just a few tenths from his father Philippe. Next were the Exiges of Andrew Wright and Robin Nilsson, with Harry Woodhead the leading Open car in ninth and Bence Balough’s Exige tenth. Vizin took another Production class pole, with a time comparable with reigning champion John Rasse, who raced the same car last season. Jason McInulty and Markus Nikowitsch were a couple of places behind, albeit four seconds in arrears. Eliasson was forced to start from the pitlane, which aided Packer in his quest to add a fifth victory and at the start he forced his way past Georges into Eau Rouge. With Williams making a clean getaway, making sure that his heavier Evora was not under attack from Georges’ Exige under braking at La Source, the veteran was confident of holding onto his early advantage. Sure enough, whilst the three leading cars soon broke away into their own battle, the main focus was on second place, with Georges at one point able to pass Packer for second. Any hopes that the Frenchman had of challenging for the lead were dashed, however, when the Englishman’s Evora reclaimed the place a few moments later. Whilst the pair squabbled, Williams was able to hold onto the lead without having to pull away from his rivals. Behind them the V6 Exiges of Andrew Wright and Robin Nilsson battled past the 2-Eleven leaders, father-and-son pairing Jean-Baptiste and Philippe Loup. J-B held the early advantage, but he wouldn’t finish the race in this position, leaving Loup Sr to pick up the pieces with a class win in sixth place. This was three positions ahead of closest challenger Lisandre, who finished behind Balogh and David McInulty, whilst the recovering Eliasson completed the top ten. Open class polesitter Woodhead converted this into a category win in 16th place, ahead of Christopher Laroche, the pair finishing ahead of Production victor Vizin, who at least faced a challenge from Jason McInulty in the opening laps before pulling out a comfortable advantage. Thierry Hedoin completed the class podium. After the provisional result had been declared, Packer’s car failed post-race scrutineering, in particular the ride height test, and was excluded from the result. Williams made the most of the standing start second race to lead comfortably into La Source, but behind him Georges spun after contact with Philippe Loup, leaving Packer second and Wright third, with Nilsson keeping him honest. The race developed into battles for first and third places, followed by the 2-Elevens, where Loup, Jean-Pierre Genoux-Prachex and Lisandre fought for honours. Meanwhile further back, Georges was furiously racing through the field in order to make up the lost positions, with Eliasson in his slipstream. Whilst the latter failed to clear the 2-Eleven podium battle, Georges caught the Wright-Nilsson scrap, which had become increasingly fraught. This resulted in Nilsson grabbing the final podium place behind Williams and Packer, whilst Georges just missed out on another rostrum appearance. Wright had to settle for fifth, ahead of the 2-Elevens, won by Loup. Behind Eliasson, David McInulty completed the top ten. Behind him was Open class winner Laroche, who finished three places ahead of Woodhead. Vizin added another class victory to his tally, beating Hedoin and Markus Nikowitsch, with Jason McInulty out of the race late on. Williams’ double victory at Spa adds another intriguing twist to the 2016 season, one of the most open in years, at least in terms of overall race winners. A few seasons ago the Lotus racing veteran started a run of victories in his 2-Eleven after taking a few races to hit the front. It’s taken him a little longer this time, but what price a repeat at Brands Hatch in August, a track on which he has excellent form? Meanwhile all of the drivers will face a mammoth task to stop Vizin’s serene progress towards the 2016 title, so it will be interesting to see how he gets on when the series returns to the UK next month. In the meantime highlights from Spa will be on Motors TV shortly.